Let's face it: I failed at bringing you my February favorites. And that's mostly because all the products I wanted to put in them were products I had not reviewed yet due to ... being late. And what was the point of telling you I loved a product but I'd tell you about it later, really? So we are going to do it another way: I'm going to review those products now and list them in a series called "this would have been in my February favorites". Ok? Ok.
First product in this series: Orofluido Hair Oil. This very luxurious hair oil was a late Christmas gift from a dear friend, and I'm very much afraid she got me hooked on this. 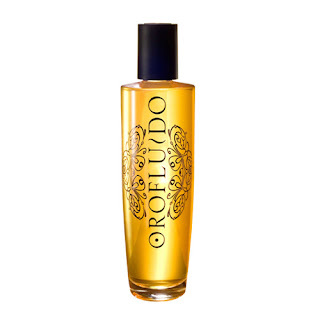 Orofluido is a beauty ritual for all hair types. Featuring an exquisite blend of natural oils, Argan Oil, Linseed Oil and Cyperus Oil, the Orofluido range will transform your hair giving it a silky, shiny and sensual look. The results are truly astonishing, in fact you will have to try it to believe it! 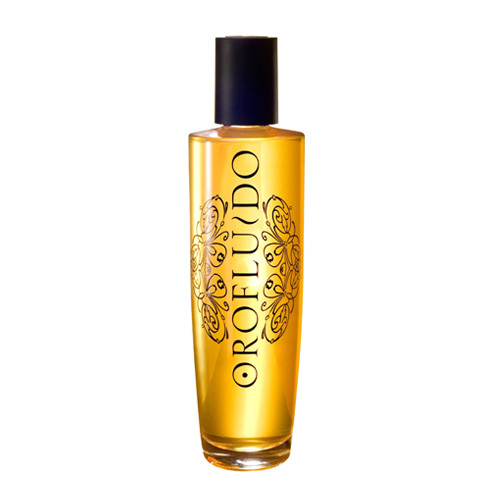 Try the Orofluido Hair Oil – a beauty elixir for the hair, which not only smells divine, but also leaves hair glossy, healthy and deeply nourished. First of all, this smells absolutely delicious - exactly the kind of perfume I like: it starts with honey and then gets deeper and spicy. I couldn't use a product if I didn't like it's smell and it were going to linger on me all day, but I can't get enough of this one! You can use this oil in 3 ways: as a mask that you apply on dry hair before you wash it, in small quantity on wet her before you dry it, or in even smaller quantity on the ends once your hair is dry. I have tried the product in every possible way and every one works really well, but the key is really the quantity. The bottle doesn't come with a pump, which can be a bit of a problem, but on the other hand you aren't faced with a pump that delivers too much. If you use on your dry hair as a mask, you'll need to be generous. I did this and left it on for 20 mins (I don't have the patience for hours of waiting or for going to bed with oily hair). It actually didn't feel too bad or greasy at all. Rinsing it out required two good shampooings with a shampoo that is not SLS free, and then my hair was really soft, the ends (that are badly split, as usual) looked healthier and it smelled devine. If you use on wet hair, make sure you really use a small quantity that you work into your hands before spreading through the hair. I actually find this works better if my hair is 50% dry than if it's completely wet. I once made the mistake to use too much of it and and on wet hair, and then I could feel unclean patches once the hair was dry. On dry hair, it's nice as a finishing product, but you really really must use just a little bit on the tips of your fingers. I love it. I use it almost daily. I am actually worried to see the level go down in the bottle. You can buy a 100ml bottle for about 23€ and it's available worldwide from Beauty Bay. I've heard great things about this one! Glad it works for ya. I'm very far from finishing my Kerastase Elixir Ultime, but when I do I'll look into it! Sounds great! I'm currently using pro naturals moroccan argan oil and I love how soft it makes my hair, though I'll keep an eye out for this one.